Mr. Patel is based in New York and is responsible for overseeing the sourcing, structuring and execution of Colony NorthStar’s opportunistic equity, debt and strategic investments across all asset types and geographies. Prior to the formation of Colony NorthStar in January 2017, Mr. Patel was Managing Director and Co-Head of Investments at NorthStar Asset Management Group (NorthStar) where he was directly involved in or oversaw $21Bn+ of closed transactions. Prior to joining NorthStar in 2007, Mr. Patel was with Thayer Lodging Group, a lodging dedicated private equity firm, focusing on all aspects of sourcing, acquiring, financing and disposing of over $2Bn of hotel investments. Mr. Patel began his career at Morgan Stanley in their investment banking division based in New York. Mr. Patel received a BA in Engineering Sciences modified with Economics from Dartmouth College. He serves on the Advisory Board of the NYU Schack Institute of Real Estate and is a member of the Board of Advisors of the Graaskamp Center for Real Estate at the Wisconsin School of Business. 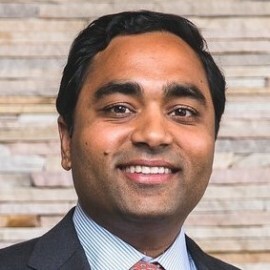 Mr. Patel sits on the Major Decision Committee of Island Hospitality Management and on the Board of SteelWave, a San Francisco Bay Area-based full-service commercial real estate management and operating company. In addition, Mr. Patel is involved in several real estate industry organizations including being a Member of the ULI Global Exchange Council and is a frequent speaker at industry conferences and seminars. Mr. Patel was named by the Commercial Observer in March 2014 as a member of its “Power 100” list honoring top commercial real estate professionals.